Imitation is the best form of flattery. I’m sure this does not apply to trademarks and other intellectual properties. 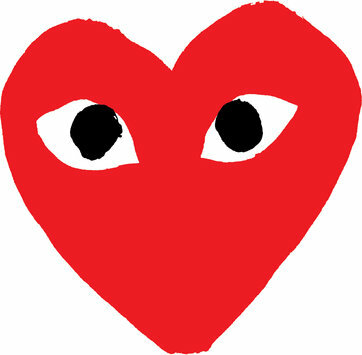 The Comme Des Garcon “GDG” Play line of apparel and accessories – specially the ones with the “heart face” – has been around for many years (since 1999 actually). However, it is only in recent months when I have seen a heavy presence of these CDG Play shirts. Unfortunately, most of what I see are fakes. Why are there so many CDG Play fakes? Of course, the biggest factor is the surge in popularity of these shirts. Another factor is how easy the fakes can be made. Let’s face (pun intended) it, a shirt with a heart face can easily be made by a novice counterfeiter on his lunch break. Many potential buyers may also see the shirts as trendy with a very short fashion shelf life. They may find the authentic ones too expensive to ride on a trend so they settle for fakes. There are some buyers who want to buy authentic but they may not readily be available so they fall prey to vendors who sell “original” (but actually fake) items. I don’t own any of the shirts or shoes. The abundance of fakes may actually be turning me off. If you want to get an authentic one such as this, buy it here. 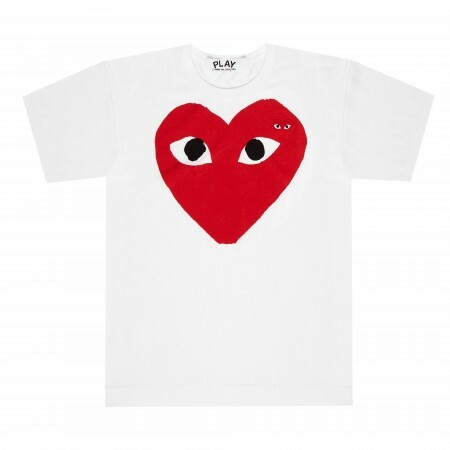 Authentic CDG Play red heart shirt – Large (my size) for GBP 75.00 at doverstreetmarket.com. Despite the name, Comme Des Garcon is not a French brand (many think it is), it is actually Japanese. That’s another discussion entirely. Previous Previous post: Will You Buy Property that Sits on a T – Junction? Next Next post: What Were Superheroes Doing in an Investment Conference?